This will be my 2nd half marathon and while my time certainly won’t be breaking any world records, I’m actually aiming for a specific time and average pace for once! Any of my running races and prep-runs from the past have been purely for the miles, fitness benefits, and bragging rights ;). But I’m finally in a place where I feel confident enough to truly push my limits, stick to a riggorous training plan, and expect the best out of myself. So here we go, legs. We’re doin’ this. I’m about 14 weeks from the big race day. With the help of the Nike Plus Run Club 14 Week Training Plan (<– downloaded that bad boy for free! ), my trusty Strava app, my daily stroller outings with the kiddos, and Jessica Sprenkel’s fit camp (strength building circuits) + her running expertise, I’ve totally got this!! My training plan combines Jessica’s 12 week fit camp (from home) with the Nike Plus plan. I saw VERY quickly how much her fit camp benefited my running when I did it for the first time after the new year. 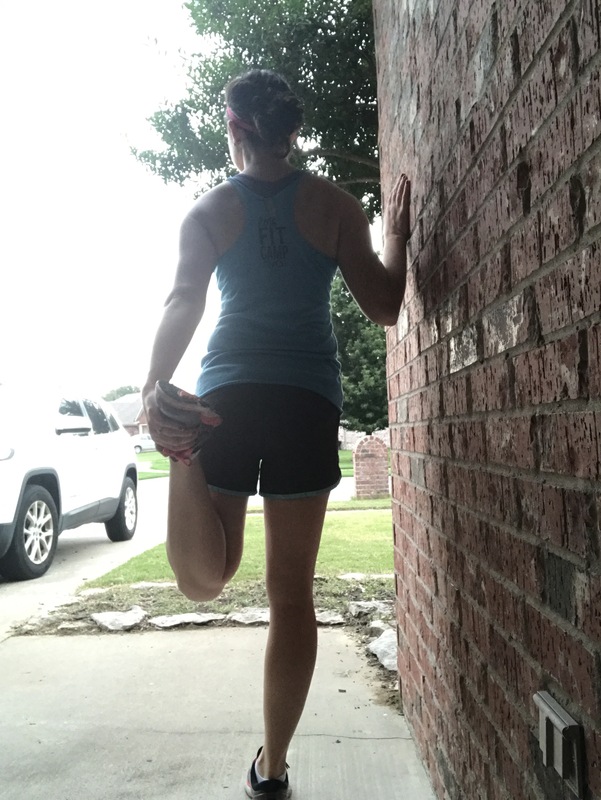 My postpartum running efforts were struggling in 2016…then all of a sudden mid-program my average paces were dropping so easily and my stride felt stronger. Her program + the Nike running plan is like a match made in heaven for my goals. The Nike plan challenges me to do something that I’ve never done before: speed & interval running. Yikes. That’s like…what REAL runners do! I’ve never pictured myself as “real runner”…more like a slow but steady jogger who occasionally speeds down hills real fast. Guess it’s time to step up my game! Jessica took some time to review my week by week plan with me and if it’s “Sprenkel” approved, it’s good enough for me! Long Run of the week! I did my first “Track” run yesterday and my pace was ridiculously inconsistent. It was all over the pace (……haaa see what I did there?). The heat index was in the 90’s, we had 80% humidity, and I completely forgot about the 90 second breaks that I was supposed to take in between each 800 meter paced segment. I was such a silly mess. Some days will be glorious…and some days I’ll want to say bad words. I just have to celebrate the journey and push on. Will you cheer me on? I hope so. Support from friends and family keep me smiling through any adventure I tackle! Are any of you running the Route 66 race this fall too? What about the Tulsa Run this year? Let me know so we can keep each other motivated, and maybe meet and take a selfie?! Yesss!